Woodland Park Zoo Blog: CONTEST: Guess the weight of our hippos! Lupe practicing on the scale. Photo by Ric Brewer/WPZ. Was losing weight your New Year's resolution? 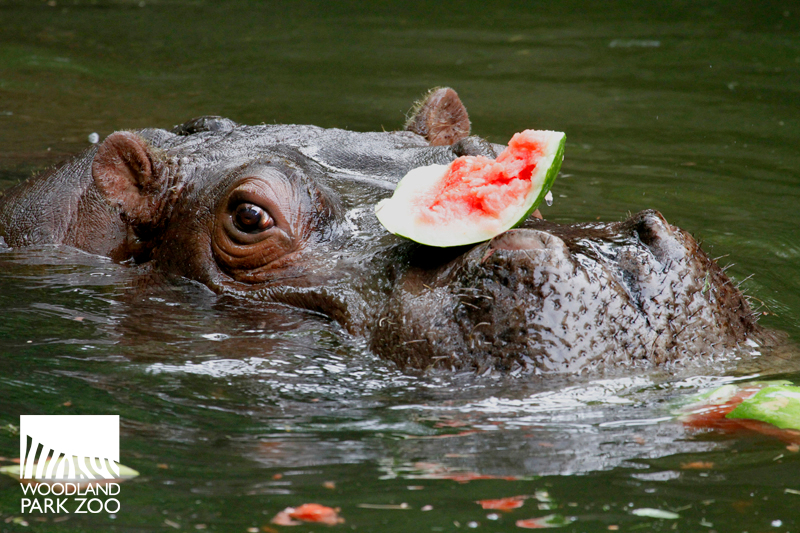 Well, for our hippos, it’s time to get on the scale! Lily (left) and Lupe (right) in the African Savanna. Photo by Dennis Dow/WPZ. We carefully monitor the weight of our animals and now that we have acquired a new scale to weigh our hippos, we’re holding a contest to see who can guess the combined weight of our graceful 33-year-old Water Lily and the lovely 12-year-old Guadalupe. 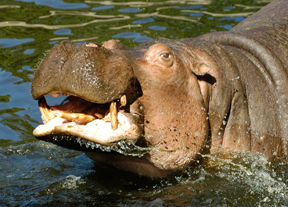 The winner gets to go behind the scenes to meet the hippos up close! Guadalupe with a snack. Photo by Dennis Dow/WPZ. Beginning today, Washington state residents are invited to guess the COMBINED WEIGHT of both hippos by entering online at www.zoo.org/hippocontest through midnight, January 27, 2012. The winning entry will be the closest to the combined weight (if more than one person gets it right, we’ll draw one random winner from those finalists). Complete rules and entry form at the contest site. ZooParent hippo adoption with a hippo plush toy. 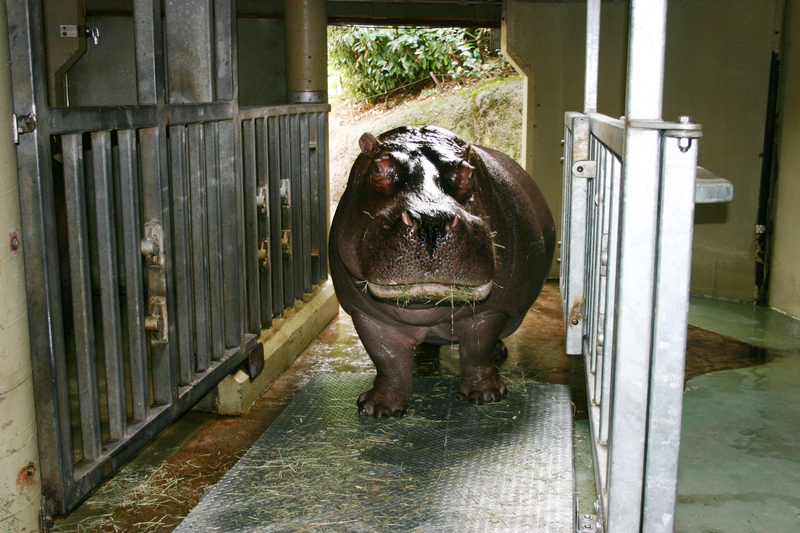 A weight-monitoring program is important to help ensure the health of the animals at Woodland Park Zoo and is a part of the zoo’s exemplary animal care program. The new scale at our hippo barn will help us get an accurate weight on these giant pachyderms so we can modify their diets if necessary. Keepers have been working diligently to train the girls to step on the scale and hold still (the hard part!) to get a solid reading of their weight. We’ll announce the winner in February and share photos of the girls getting their official weigh in.